In the music industry, rights clearing organizations represent musicians and producers. When music is played in public, a rights clearing organization collects fees due to music licenses, and pays the musicians and producers their share. Sometimes, a musician who has not been paid, claims to be a musician on a track that has been broadcast in public. The rights clearing organization then has to verify this claim and, when it is true, adjust the share that all musicians in this track receive. This is a costly process, as it requires verification with other musicians of the track who may be located anywhere in the world. TVE created a business model of the network of musicians, producers, and rights clearing organization and computed the revenue of for each of these stakeholders under realistic market assumptions. We then did a sensitivity analysis of accepting a new claim of a musician when verifying this claim with only a few of the other musicians. 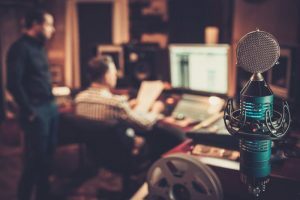 This gave the rights clearing organization insight into the smallest number of other musicians that should be contacted in order to minimize the risk of honoring an invalid claim. Based on this analysis, the rights clearing organization could optimize the claim verification process.